This image about sums it up! 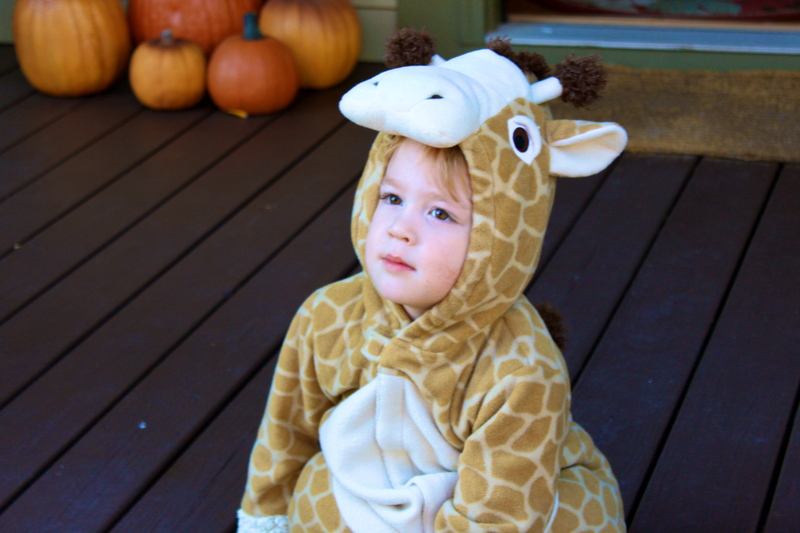 We had one very excited giraffe (who refused to be a fireman like mama had hoped, oh well.) 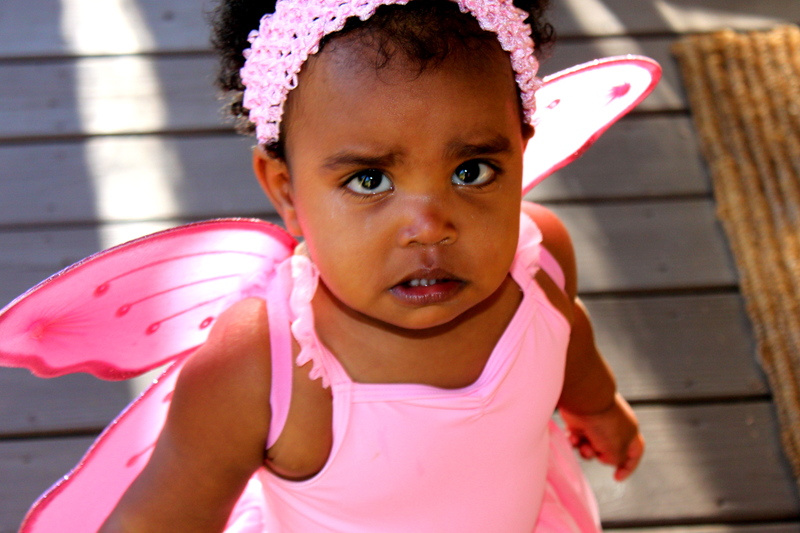 and a very-grumpy-overly-pink-fairy for the 2010 Halloween festivities. 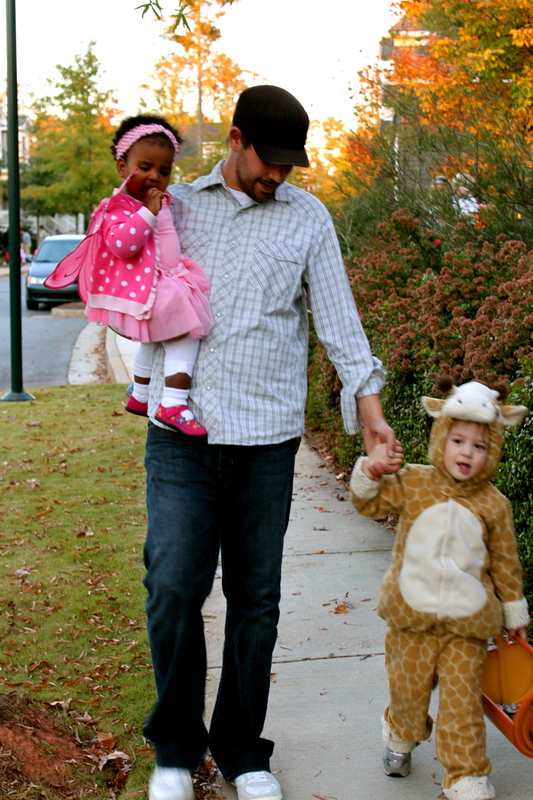 We had a great night at Mimi + Pop Pop’s hanging out with friends, eating chili and of course, collecting candy. Much to my surprise, Nash LOVED trick-or-treating and did a great job walking up to the door and asking for candy. He had so much fun! He told me he wanted to be a giraffe because “everyone will laugh and think it is soooo funny”. I guess he enjoys giving people a good laugh!? 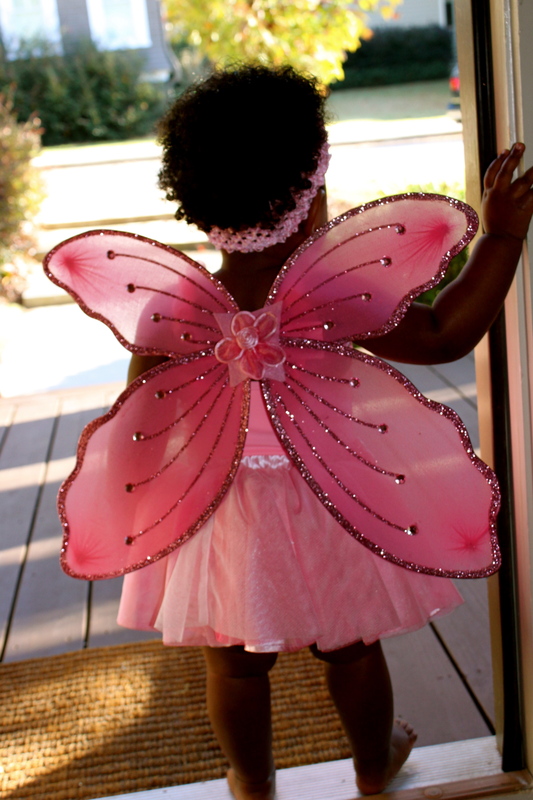 Not sure why Evyn was not feeling the Halloween groove, but she looked cute as can be in her very pink fairy costume! Now I’m off to hide about half of Nash’s candy. I wonder how many bite size candy bars equal a FULL size candy bar? I’ve had my fair share already tonight! 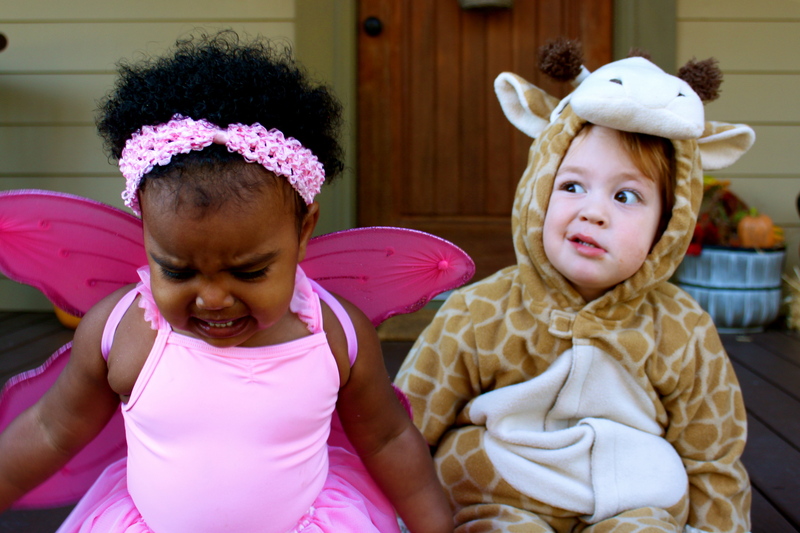 Your E and my E seem to have had similar first Halloween experiences. R loved it like Nash did. So precious!! We had a couple of fairies at our house too! 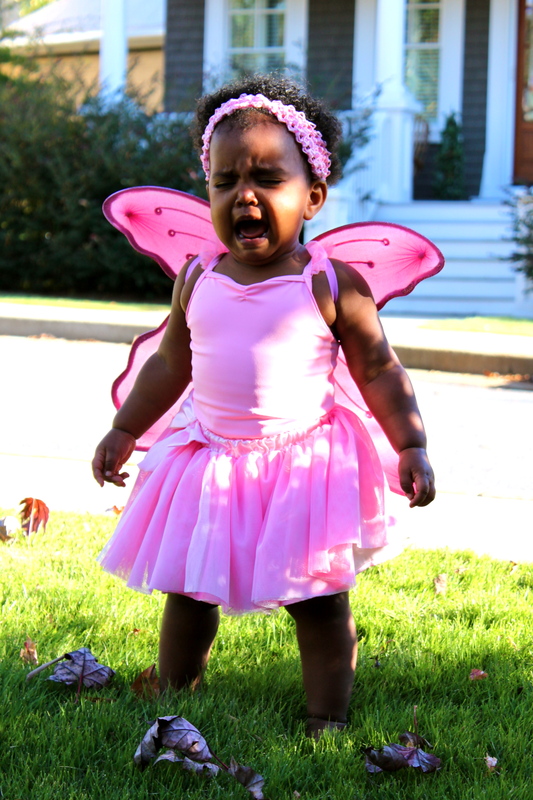 🙂 Love the pic of Evyn crying in her fairy costume…so adorable!! my favorite is the last picture, so adorable!